Incredible news today from University of Alberta, and from First Nations University: both are offering Cree courses as part of their Spring/Summer programs, and in both cases, the courses are already full! 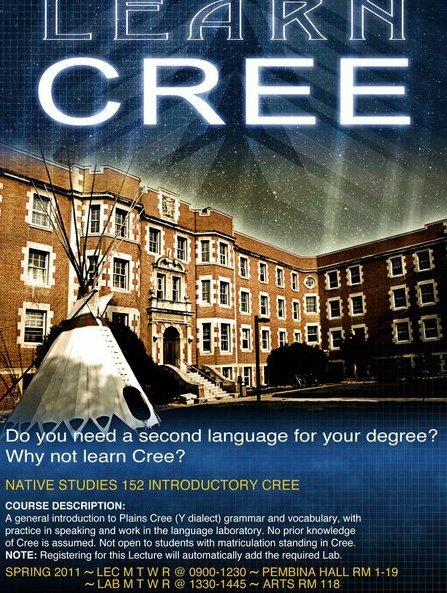 FNUC is offering Cree 100 (online) and Cree 150 (immersion). Looks like it’s going to be a great Cree summer! For those who’ve missed out for this year, now might be a great time to start research options for the fall!